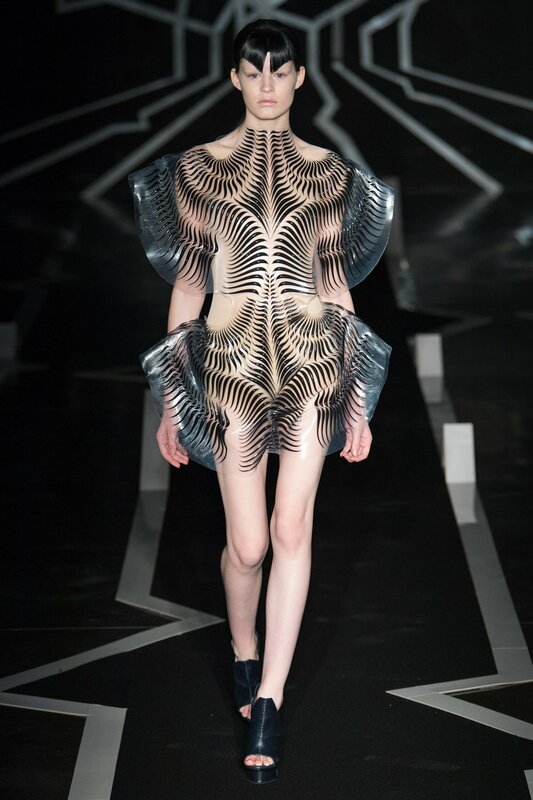 Iris van Herpen's latest couture collection is aptly named "Between the Lines". 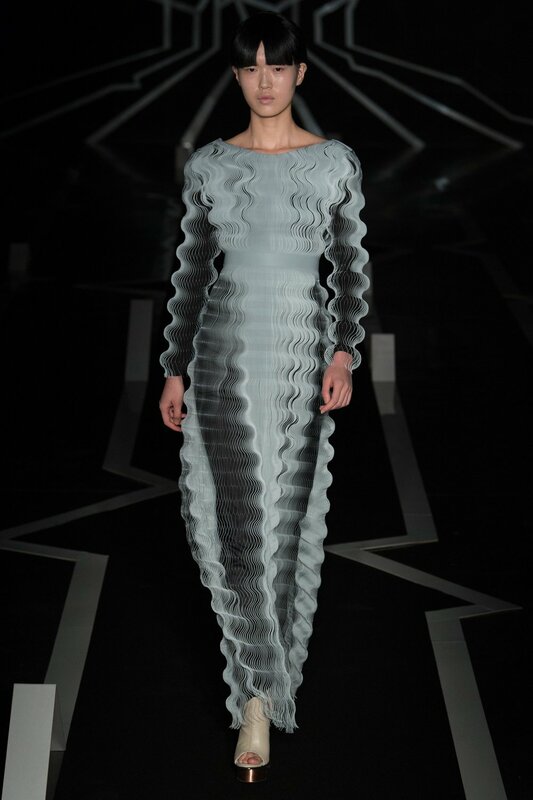 The 16 looks she presented were a dissection of lines and symmetry using handcasted polyurethane. The intricacy of her work is only rivaled by the complexity of these seemingly simple designs that inhibit her artistic repertoire. The transparent lens like structure is as much of a dress as it is a piece of soon to be fabled art. 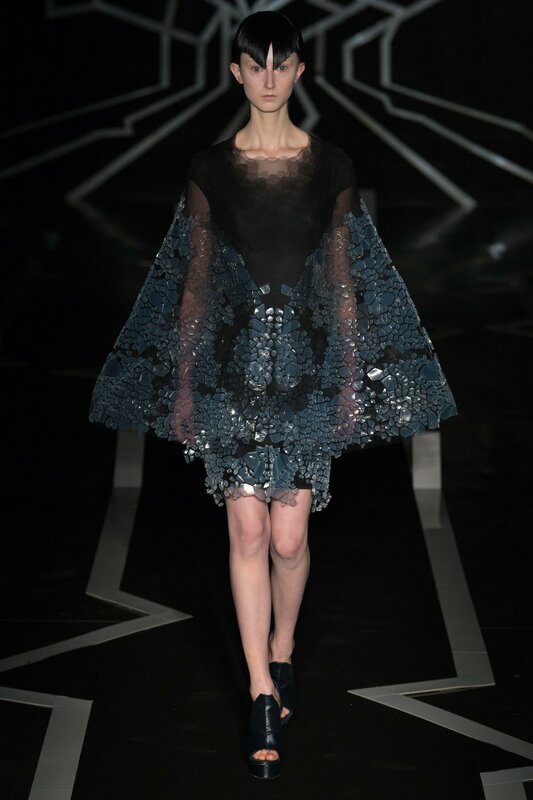 This couture collection is ultimately a product of the designer full vision and what a splendid vision it is. The intense cycle of development from of each line to a full on dress is mind-boggling and the sheer expertise behind these dresses not only bodes well for Iris but also for the industry in general. Innovation rarely looked so good!